Dress up your Phenom as this amazing sniper! The Tippmann X7 Phenom Sidwinder Sniper Kit will Instantly Transform your X7 Phenom into an extremely precise paintball sniper rifle. 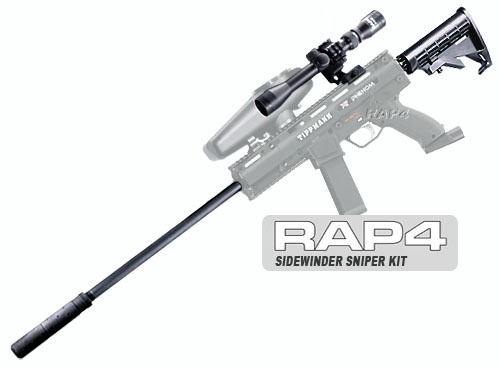 This easy to install mods kit converts the X7 Phenom tactical paintball gun into a realistic military replica sniper rifle with improved accuracy and range. 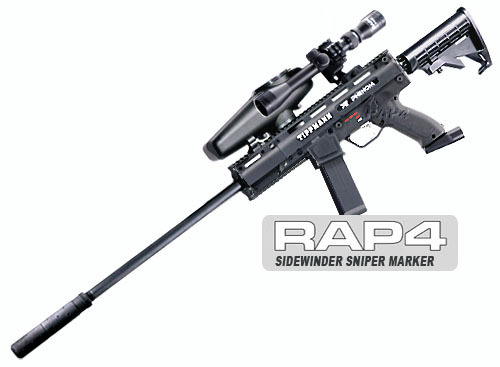 Includes an 18” precision rifled barrel, stock and long range 9x32 sniper scope.